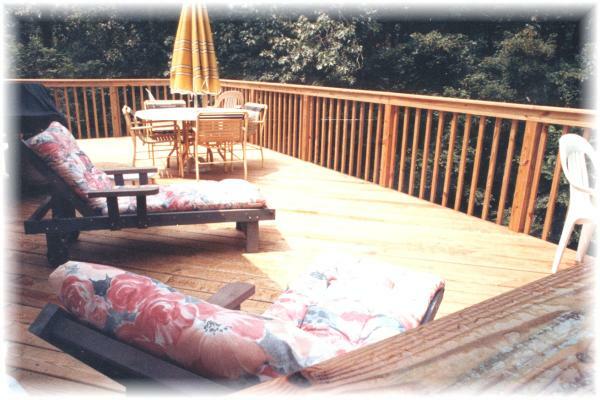 PROJECT DESCRIPTION: Removal of decking surface and railing, install new all-screw only decking and railing, to code. "...your expert advice on design... could not have been better. I have never worked with a contractor who took his time with us, like you did, so that we could truly make the right decisions. Without your great ideas, guidance and patience the job would not have come out as fantastic as it did. We are very grateful and will undoubtedly use you again..."
- Alisa Rivera, Mohegan Lake, August 1994.